I suppose the secret to this dish is really in how you cook the eggs. You want just barely cooked or scrambled, tender folds of eggs that, when mixed with the sweet sour tomato sauce, will just slip tastily and smoothly down your throat. If you don't do it right, then this dish is only a so-so stir fry. But if you do the eggs properly, then you will achieve the texture contrast that is so important in bringing this dish together. It took me a while to figure out the best way to get the eggs right which is difficult mostly because eggs cook so fast. It reminded me of when I was practicing making omelets. There seems to be a 'zen zone' that you must reach for when you're seriously cooking eggs of any nationality. Or as Yoda would say: "No! Try not. Do. Or do not. There is no try." For the tastiest egg taste use organic or free range eggs at least. For the tomatoes look for the ripest and of course tastiest tomatoes that you can find. I usually look for the tomatoes that are about to be tossed, splitting even, these are soft and perfect. When you cook the tomato part of the dish you will want the tomatoes to cook down soft and mushy to create the saucy bit of the dish. And don't forget the ketchup! You might think it strange to use a western condiment in a very Chinese dish, but there is a long tradition of the Chinese successfully incorporating many different foreign food stuffs into their own cuisine. Besides that, did you know that ketchup is originally from China?! Heat wok over medium high until it starts smoking, add oil and immediately add the tomatoes, being careful of splashing oil. Add salt and stir fry for 2 minutes or until the tomato starts to brown in spots. Add the wine and stir. Add the sugar and ketchup and stir, poking/pressing at some of the tomatoes to encourage them to mush up, but leave some whole tomatoes too. Lower the heat, cover and cook for 3-4 minutes, adding water as necessary, until the tomato is soft/saucy. Taste and adjust the seasoning as needed (sometimes the tomatoes are more sour than other times). Remove the tomatoes to a platter. Rinse the wok clean and heat til dry. Whisk the eggs, water and salt together until just mixed. Heat wok over medium heat until just smoking and add 2 tbsp oil. Slide in the egg mixture. Have a spatula ready. Once the eggs have cooked on the bottom most layer (which will be really fast) use your spatula to gently scrape all the cooked egg towards you, shaking the spatula gently as you do so so that any uncooked egg will run off back towards the center of the wok. When you have pulled all the cooked egg towards you, wait a few seconds for the run off egg to cook and then repeat. Soon you will find that you have gathered all the folds of tender, just cooked egg up your side of the wok. Working quickly, toss the cooked tomatoes back in and give the whole thing a quick fold, using your spatula to break up the egg into bite size pieces, trying to distribute tomato and egg evenly. This should take no more than 5-10 secs or so and then turn off the heat and pour the Tomato Egg into your serving dish. Do not over cook! If in doubt turn off the heat sooner rather than later. The egg should still be soft and goopy at places (it will still cook some more off the heat.) Toss on some chopped spring onion and serve right away. Tip: Use a non stick wok for best results as 1) your egg won't stick to the pan and 2) you can utilize the sides of wok to keep the cooked eggs away from the heat. We don't use any non stick coated pans but have found a properly seasoned cast carbon steel wok is crazy wonderful in the kitchen. I was pointed to your blog by a HK friend! Thank you so much - I have barely started going through it. I have not seen this recipe ever - it so reminds me of ages ago when my mother made it! 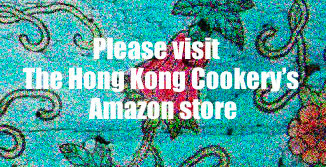 I love your recipes - brought back memory of "old" HK, which I left in the later 60s. I particularly like the small number of ingredients that your recipes call for - before later on when people seem to think that "more is better"! I will definitely try this (and the rosemary chicken wings) soon! Thanks again! I made this tonight, and you were right, there are no leftovers! I wanted to take a picture of it to impress my Cantonese mother but the boyfriend ate it all. Definitely saving this recipe. Thanks! I dont have a proper Wok but a flat base wok, would this make a difference in the outcome of the egg texture?